Hibiscus is one of eight villas within the Merlin Bay complex. There are three bedrooms (each with their own en-suite bathroom) and spacious indoor/outdoor living areas. The private plunge pool is perfect for quick dips while sunbathing, or guests can relax in the shade of one of the covered outdoor areas. Residents can enjoy lots of privacy at the villa, or venture out to the communal pool or beach, which is only steps away. The Royal Westmoreland and Sandy Lane Hotels are also close by, with golf, tennis, and spa facilities. Merlin Bay consists of eight Mediterranean-style villas designed to satisfy the most distinctive tastes in luxury living. Hibiscus is a 3-bedroom, 3-bath villa located within the Merlin Bay Complex. All three bedrooms are air-conditioned and have en-suite bathrooms. Guests are well looked after by a friendly staff. Hibiscus enjoys its own private plunge pool as well as access to the larger central swimming pool and sun deck. From the communal sun deck, steps lead down to a white, secluded beach perfect for sunning, swimming, and snorkeling. 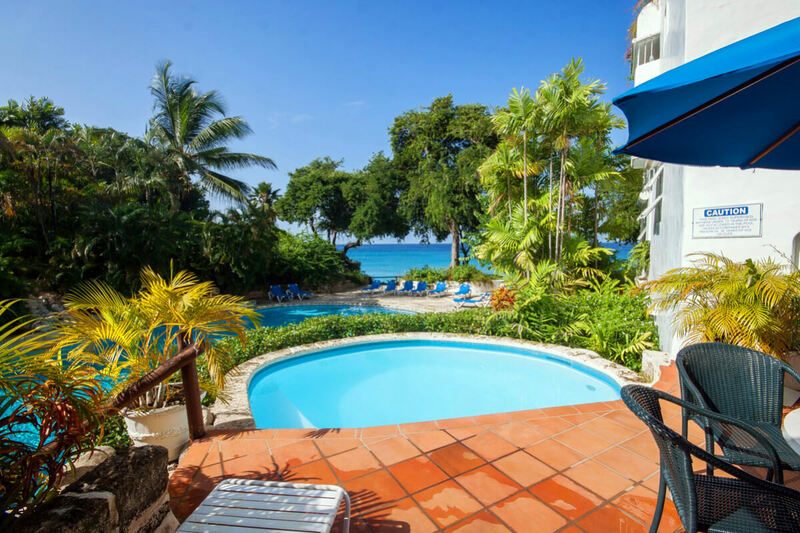 Hibiscus is located a short drive from the Royal Westmoreland and Sandy Lane Hotels where 5-Star golf, tennis, and spa facilities are available.